Some days it takes so little to amuse me. On this one, I'm easy to please. Something inexplicable cracks me up about men dressed as food. This look delivers my favorite kind of smile — the one that makes no sense but feels so good. 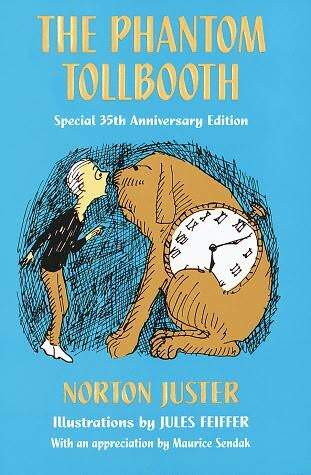 The Phantom Tollbooth by Norton Juster. The children's book was published in 1961 and I'm reading it now for the first time. It's a modern fairy tale packed with word play and puns, and travels to the town of Distortion, the Island of Conclusion, and the Kingdom of Wisdom. This book is a charmer! It's Thankful Thursday, a weekly pause to appreciate people, places and things. What are you thankful for today? What makes you smile?